I'm jumping all the way to the day before we left Iceland, just because the ice cave tour on the Vatnajökull glacier was, by far, the most impressive thing I've ever seen in my entire life. 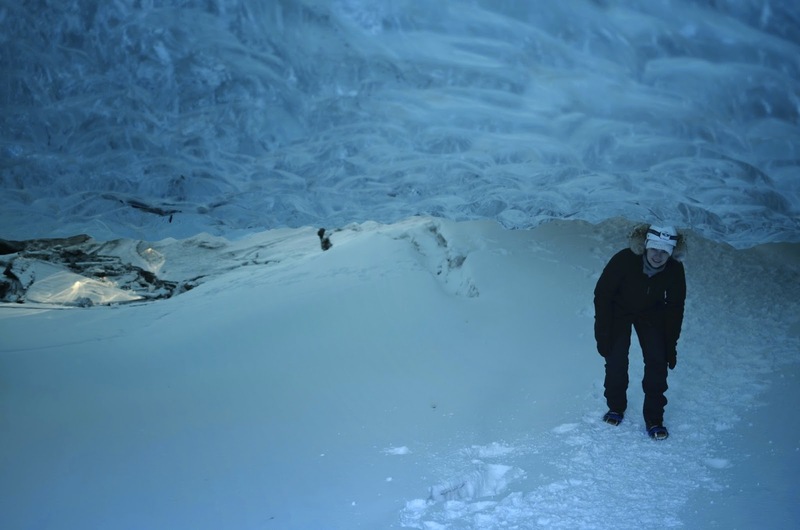 Ice cave tours are only possible during the colder months (October-March), as they are filled with water during the warmer months. And it's water that carves the amazing shapes we see inside the cave. Interesting fact, these caves were discovered only 7 years ago! Our guide drove us, off road, for about half an hour, and we got to the edge of the glacier. The hole that you see right in the middle of the picture is the ice cave entrance. We have to wear crampons and helmets. THE ICE CAVE! That was our guide, Oscar, a super nice guy! He told us he once camped inside the cave and was planning on doing it again this year. Crazy, right? 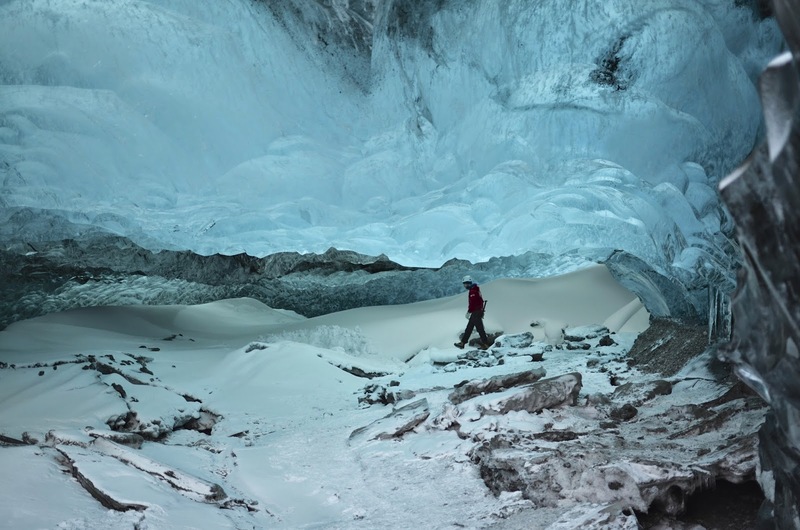 It's really hard to put in words how incredible it was to be inside a glacier. The pictures don't make justice to the beauty of the ice cave. The ice is unbelievably blue and shiny and smooth, almost like glass. It was an amazing experience and it made facing the Icelandic winter totally worth it! Ana, que lugar incrível!!! Nossa, espetacular, parece de mentira! AHHHH SO COOOOL. I want to go to there. you are SO putting iceland on my travel list.